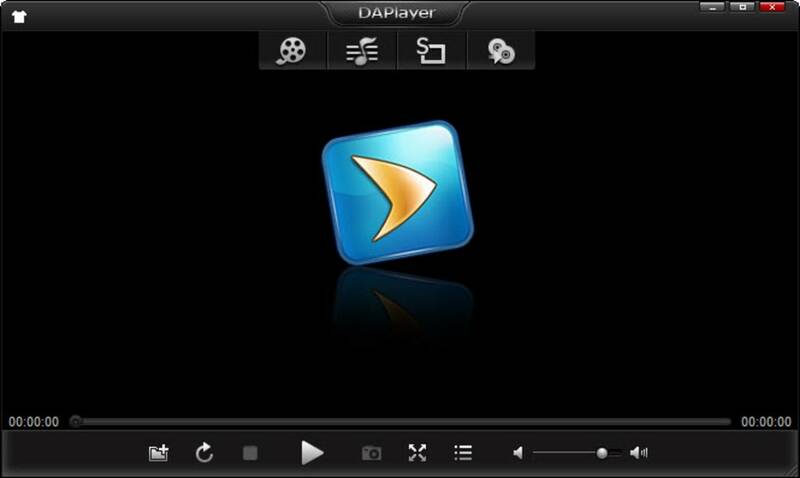 DAPlayer is a sleek, powerful free video player that works with hundreds of formats, including high definition video. What’s DAPlayer’s secret? A simple one: it comes with more than 400 audio and video codecs already built into the player, so that you can play virtually any kind of video on your computer without the hassle of having to look for and download missing codecs. 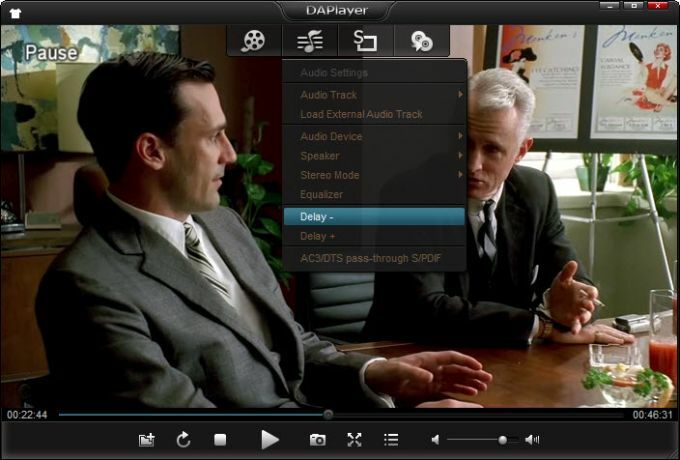 Apart from video files in your hard drive, DAPlayer also works with DVDs and Blu-rays. 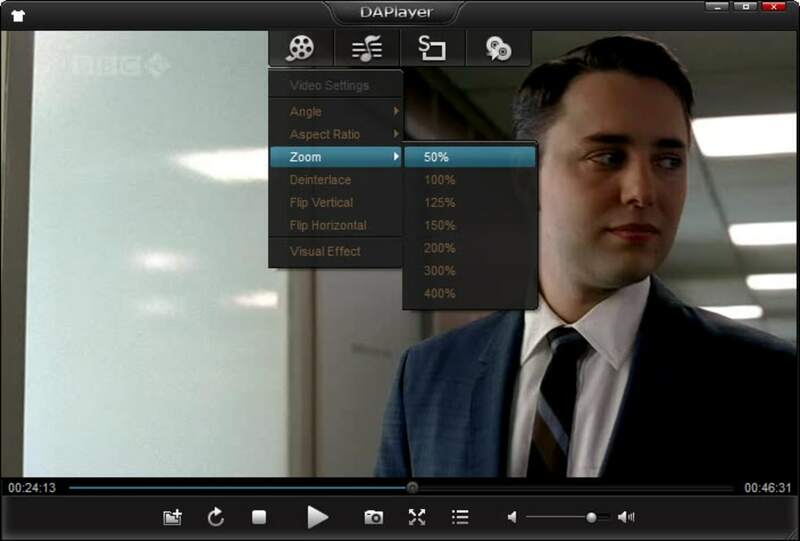 Thanks to the support for high definition video (AVCHD, MKV, H264 and more) DAPlayer lets you enjoy your favorite movies and TV shows in glorious full HD 1080p. What’s more, the program also works with audio files, so you can also use it as a music player as well! 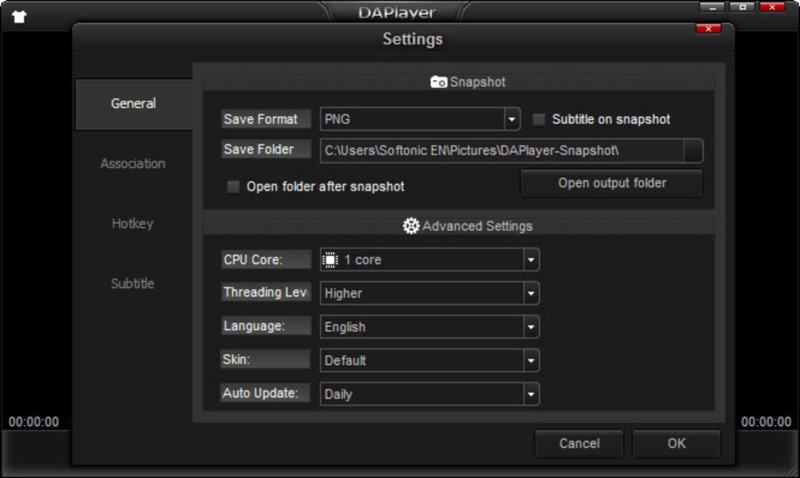 DAPlayer features an elegant design with hidden menus on top of the window. 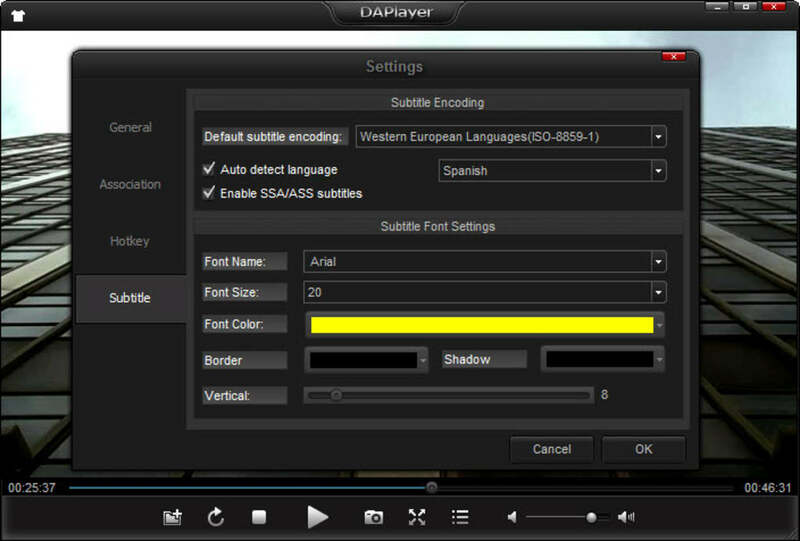 The player offers a wide selection of configuration options for video, audio, subtitles and more. Too bad the skin is so dark that sometimes it makes menu browsing a bit difficult. 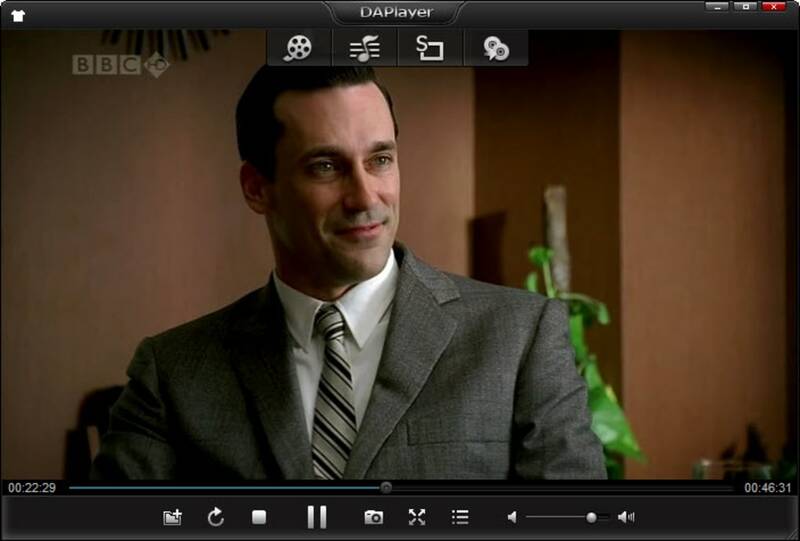 DAPlayer is a powerful multimedia player with a simple, attractive design, hundreds of built-in codecs, and support for HD video, DVD, Blu-ray and more! Not Actually Blu-Ray compatible. Doesn't actually play Blu-Ray disks, at least not easily enough for me to recommend this program to any of my clients. Easily Install with no greyware. Отличный плеер. Я бы его купил, если бы был платный.. 1. Видео предустановки позволяют ощутимо улучшить изображение на плазменных или LCD дисплеях. 2. При чтении файлов большого размера в блюрей формате не упирается в скорость NAS и показывает видео без рывков. 3. Звук при воспроизведении AC3 через оптику просто чумовой. What do you think about DAPlayer? Do you recommend it? Why?